Earrings - LEA Designs - aka: Alien Headquarters! What are you in the mood to wear? Something simple and shiny? Try the chainmaille. Need a bit of length? I'd suggest the tubes. Want something that's one of a kind? 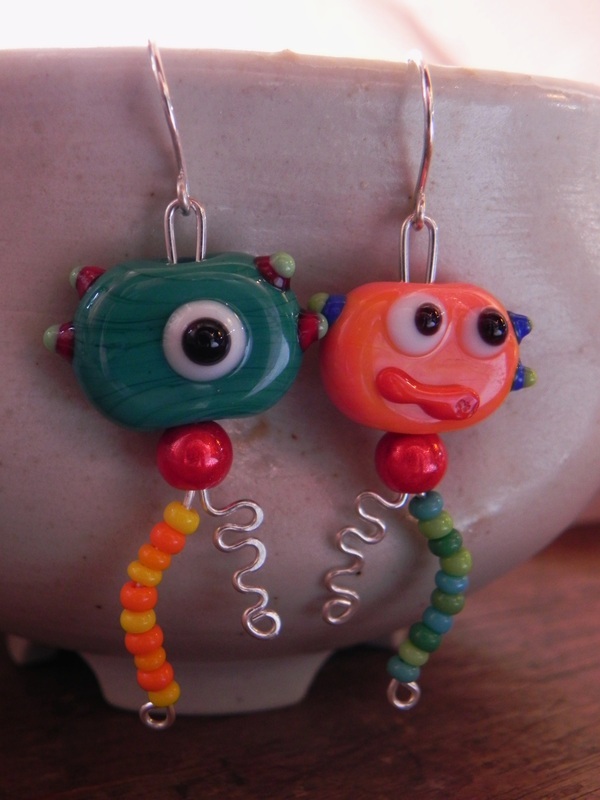 What's more unique than your very own alien earrings? Simple but stylish, these earring styles are made with a variety of rings including sterling silver, bronze, and niobium. Custom pieces and sizes are available. 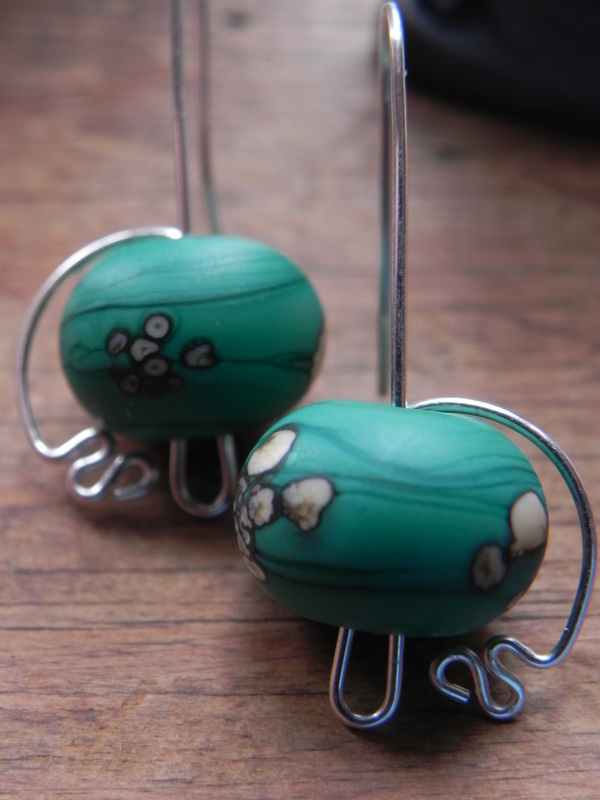 Not too lengthy (tubes are 2") these earrings are curvy, but hold their shape from the sterling tubes. 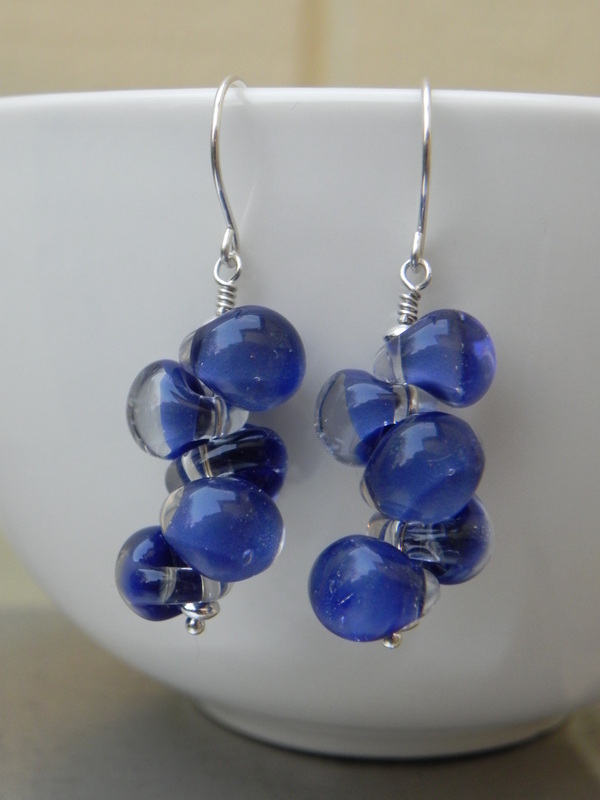 Wrapped in sterling wire, these yo-yo earrings are great for any girl who is staying playful. Each yo-yo set is made when you order it. Photos are representative of the style, so some earrings may not appear exactly as in the photos. Limited in quantity, but boy are they pretty. 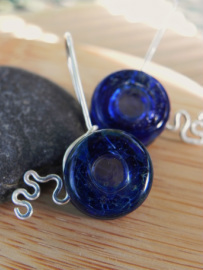 Here you will find unique styles including silver arms, acid-etched lampwork, and unique color combinations. Enjoy!